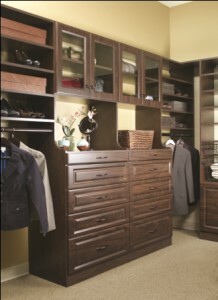 Custom closets from More Space Place offer storage and organization solutions for homes in the Nashville, TN, area that can help you crack down on clutter. If you find yourself wearing only 20 percent of your wardrobe’s contents 80 percent of the time, your closet probably needs an overhaul so you can gain easy access to all your clothes. Thanks to our customized closet systems, More Space Place can help you transform your closet into a more orderly space, which will expand your wardrobe selections and shave a few minutes off the time it takes you to get dressed in the morning. For more information on our custom closets and for information on other space-savers, such as Murphy beds and wall beds, contact us today. We serve all of Davidson, Williamson, Wilson, Rutherford, Sumner counties and other communities in Tennessee and Kentucky.